2. On the Label Type page select "Preview (No Stamp)" and Press Next. 3. 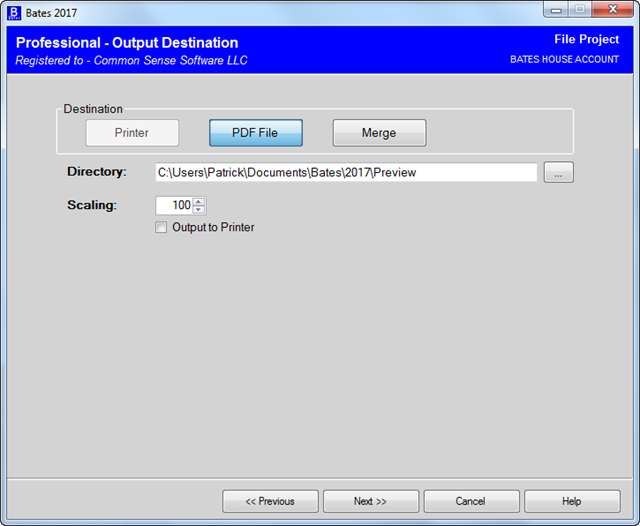 On the Output Destination you can select if you want separate files or Merge to one file. Press Help on this page for complete options. When you complete your options press Next to process your files. They will be put in the Documents\Bates\2017\Preview folder. 1. Flags PDF files it cannot open as error. This will trap files that are password protected. 3. It will convert all good files and mark the one it cannot convert. 4. 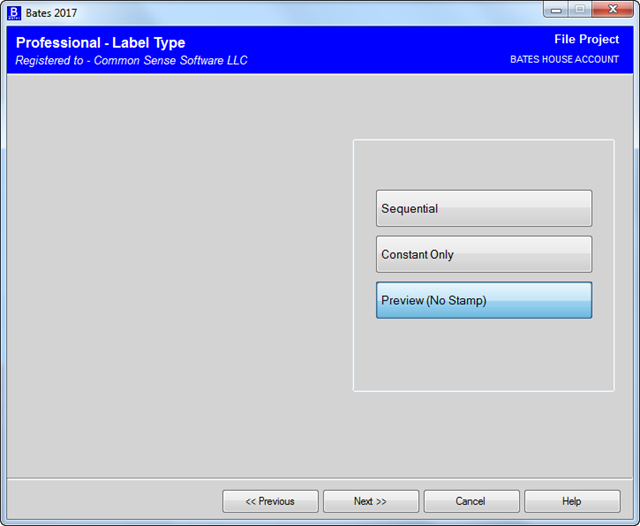 File list will be placed in the preview folder when doing preview, samle below. 5. All files now have a .PREV.PDF extension. 5. 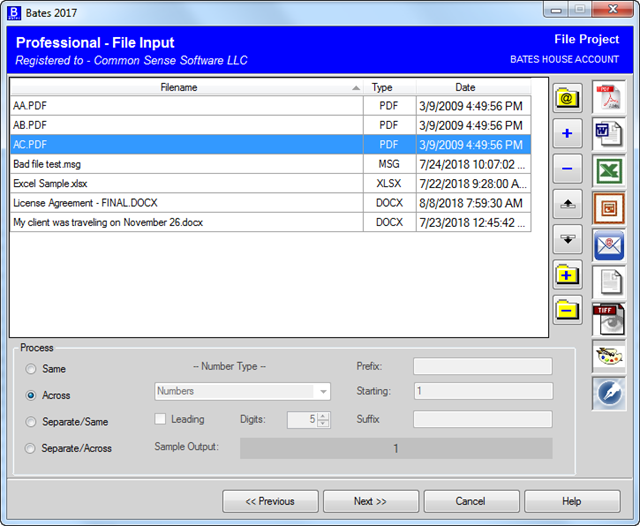 FileList, CSV format, will open with Excel, generated from Preview processing. Notice that we try to identifly the problem for each bad file.